Julia Roberts and Richard Gere graciously posed for pictures with the children of Waugh United Methodist Church, the filming location. For several chilly weeks in the fall of 1998, Waugh Church was transformed into the setting for the fourth and largest wedding of Paramount Pictures’ hit movie “Runaway Bride.” Yes, the romantic comedy starring Julia Roberts and Richard Gere that most of America saw in the theaters during the summer of 1999. Filming was done throughout Maryland and primarily in Berlin on the Eastern Shore. However, the producers needed a quaint, country church that was located near Baltimore for the climactic moments of the story. 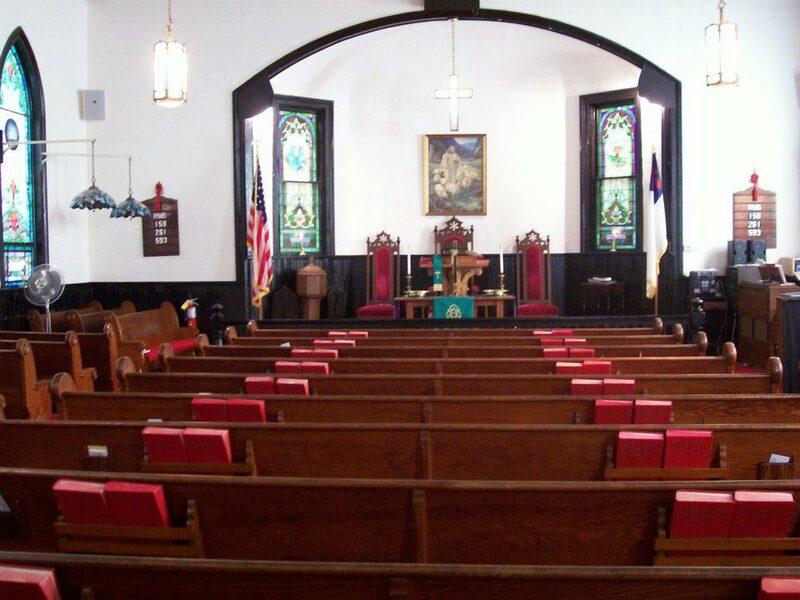 The Maryland Film Commission approached Minister Rob Carter one Sunday asking for permission to take photos of the church. These photos led the crew under the direction of Garry Marshall to Glen Arm a few months later! Production designers descended on the little rural church. Wooden steps were constructed and painted, huge bouquets of silk flowers were arranged, canopies of flowers were draped, and walls were decked with children’s artwork. Curious onlookers gathered to watch the huge lighting props arrive on giant trucks and “extras” were assembled to form the crowd outside the wedding. Of course, this was all very exciting, but whom did these folks really hope to catch a glimpse of? After a morning of shivering, the members of the Waugh congregation who were acting as “extras” were not disappointed. A shiny Lincoln town car pulled up and out climbed Mr. Gere, looking quite handsome and immediately shouting his lines as he ran up the steps. Other scenes were filmed inside the church, including the moment where the bride runs down the steps and through the room of Sunday School children to climb out the window and jump on board a Federal Express truck. One of the highlights for the dozen or so children of Waugh Church who had the chance to “act” in the movie was an impromptu photo session with Richard and then Julia, both of whom were very gracious. When the movie was released eight months later, members of Waugh rushed to the local theaters on opening day. It was a great thrill to see familiar landmarks and the charm of Waugh Church in so many scenes. However, any hope of stardom was dashed when most of the “extras” realized their Hollywood premiere consisted mainly of backs of heads, quick shots of a recognizable elbow or maybe a second of being seen in the background. But the memories of a once in a lifetime experience made it more than worthwhile!